This is the home you have been waiting for. 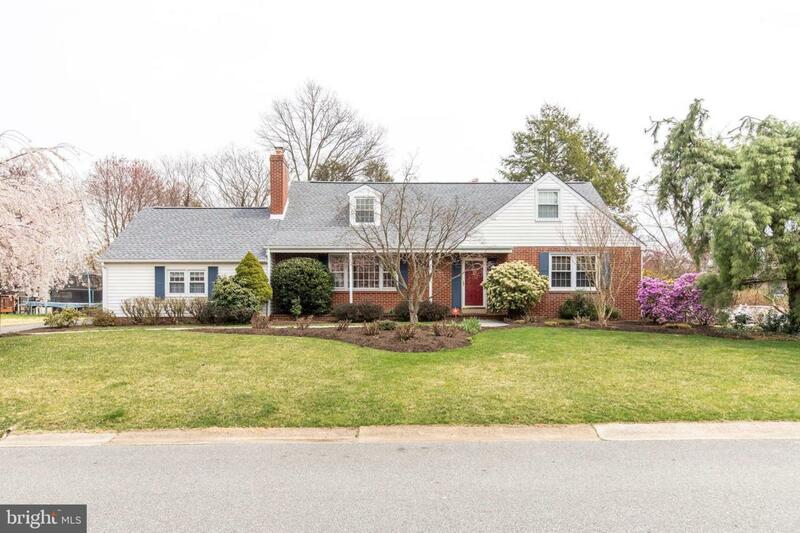 This spacious and meticulously maintained 4 bedroom, 3.5 bath cape is a rare find and located in the desirable community of Carrcroft. The attention and care this property has received is evident from the moment you arrive. Admire the professionally landscaped yard and flower beds as you follow the E.P. Henry paver walkway to the new front door. 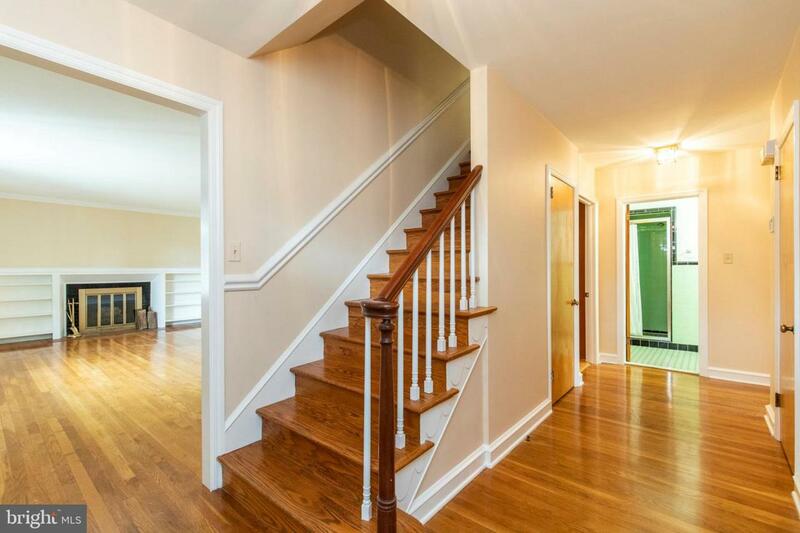 The beautiful hardwood floors and fresh neutral paint welcome you as you step inside the foyer. 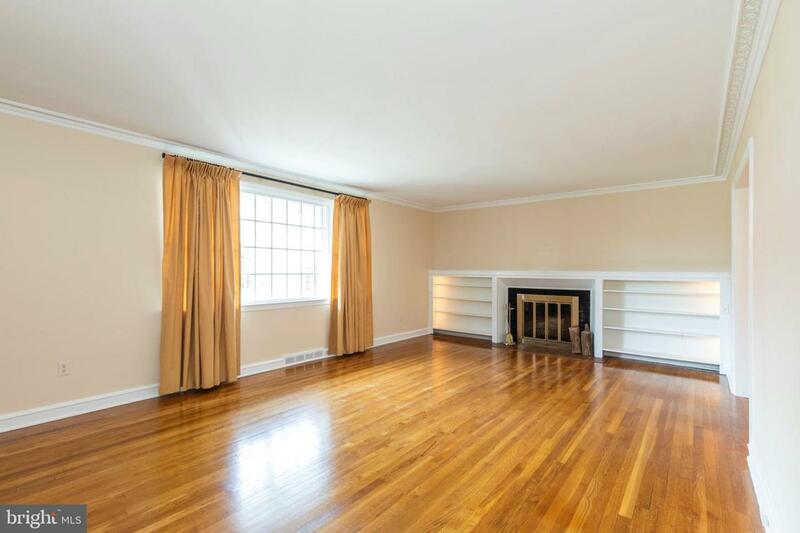 The living room boasts plenty of natural light through the large front windows, hardwood floors, crown moulding and a functioning wood burning fireplace flanked by lighted, built-in bookshelves. 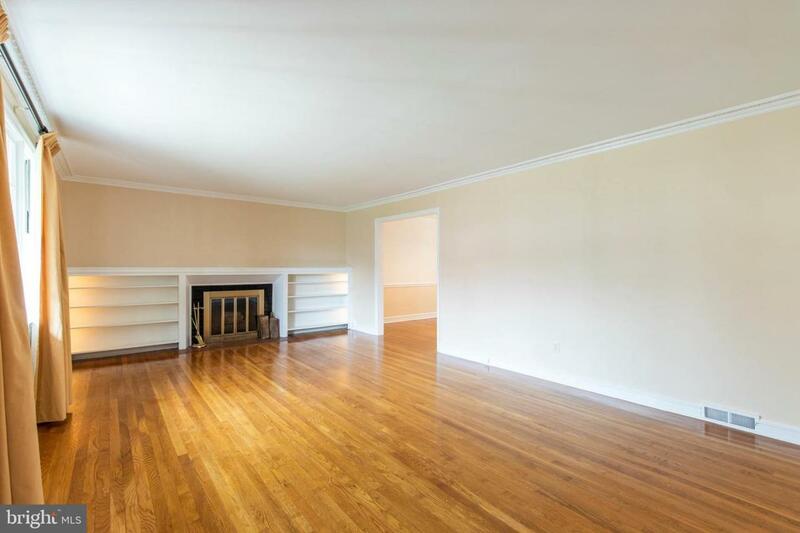 Hardwood floors and crown moulding continue into the dining room which has plenty of space for hosting dinner parties or holiday guests. The real heart of this home is the kitchen and gorgeous view of the backyard through its wall of windows. This custom kitchen is where you are sure to spend much of your time and is perfect for entertaining. The Kraft Maid cherry cabinets feature soft close doors and drawers, pull-out shelves, under-cabinet lighting, crown moulding and two glass-front lighted cabinets. No detail was overlooked in this renovation as the French door refrigerator with bottom freezer is hidden away behind matching cherry panels. This kitchen also offers a 5-burner gas cooktop, double oven, stainless steel dishwasher, granite counter tops with lifetime sealer, recessed lighting, hardwood floors and a ceiling fan. The large multi-purpose room off of the kitchen provides extra space and endless possibilities. It can be converted to a pantry, first floor laundry room, or used as extra storage room. The large first floor bedroom and full bathroom provide the option for first floor living. The office/den with its rich wood panels, built-in bookshelves and cabinets, offers ample space all your business/personal needs. You will find large closets in each of the three of the upstairs bedrooms. The master bedroom~s private ensuite bathroom has been newly remodeled with Kraft Maid cabinetry, Corian counters, tiled shower walls and floors, a double linen cabinet with pull out shelves, recessed lighting and Grohe fixtures. The newly remodeled hall bath serves the two other 2nd floor bedrooms and also features Kraft Maid cabinetry, Corian counters, tiled shower walls and floors, and recessed lighting. Spread out and relax in the partially finished basement. It has neutral carpet, build in cabinets and a California Closet desk and closet system for storage and a powder room. The roof and furnace are also brand new (2018) so this home is truly move in ready! The desirable Carrcroft community and convenient location are tough to beat. Shopping, entertainment, restaurants and an easy commute to I-95 are all just minutes away. Homes like this don~t become available very often, and don~t last long, so make your appointment today! Cross Street W. Crest Rd.